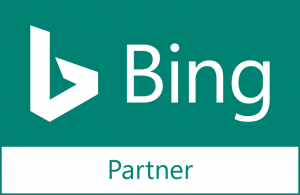 Revenue from Adwords and Bing Ads increased 100% and 178% respectively. The Hot Shot’s Secret family of products includes diesel additives and cleaners designed to help diesel truck owners restore their engines and injectors. Purchasing Hot Shot’s saves diesel truck owners money by not having to replace their engines or injectors, which would cost much more than simply restoring the engines with their proprietary solution. Two Wheels Marketing was commissioned to assist Hot Shot’s in driving incremental sales of their line of diesel additives via PPC marketing. Hot Shot’s had already begun a small monthly campaign targeting individuals looking for new injectors or diesel additives and was able to drive some sales via Google Adwords and Bing Adcenter. The entire account was almost completely restructured to allow for both targeted conversions of existing keywords and expansion into new campaigns based on keyword/competitor research. A shopping campaign was setup to target their core products via Google product listing ads, assisting in an additional 50+ sales a month. Remarketing campaigns were implemented to encourage previous visitors to come back and purchase. Targeted display campaigns were set up targeting core industry websites where their products would gain the most traction. Bid optimizations were implemented and adjusted monthly to generate more sales during peak purchasing times of the day and week. Two Wheels Marketing provided suggestions on landing page adjustments to help better inform a prospective customer on the products, provide trust elements, and improve the overall layout for increased conversion rates. There was no major increase in the cost to acquire those customers. CPA remained steady during the entire duration of the campaign while sales/revenue increased. Overall monthly visits to the site increased 238% year over year.